It might sound like a rushed statement to call anything the “… of the year” while only seven months passed, but in this case, it is a pretty sure bet, that nothing will be able to top this album for the rest of 2016. This is part #1 of the double feature. Read part #2, about the role and history of the LDH agency here. 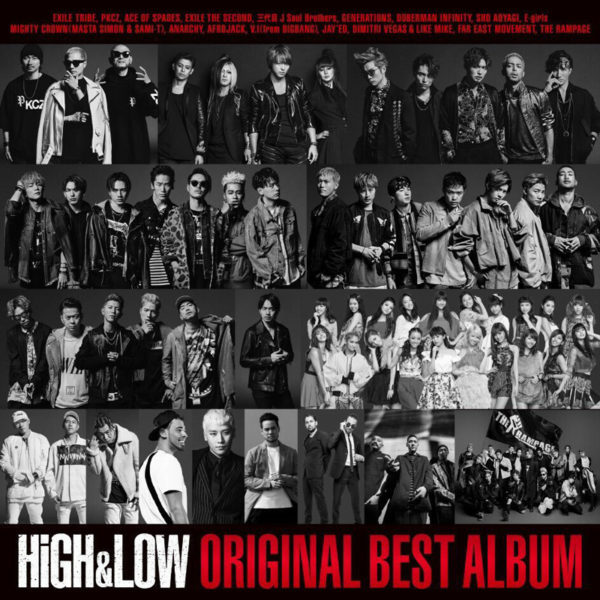 And somewhat ironically it is not even a “proper” album: it is a double CD soundtrack made for a two season TV series and a feature film, that are all part of a grandiose multimedia project called HiGH&LOW, unleashed upon the unsuspecting World by the agency called LDH. 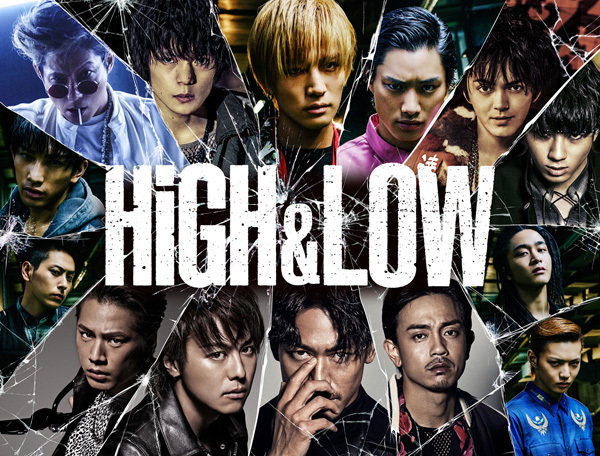 As the agency is known for its boy bands and girl groups, it was quite obvious that the soundtrack will be provided by those (especially as many of their members also pop as actors in the series), however LDH took it all one step… or well, actually, several steps further. The result is an almost non-stop party album, that takes the agency’s love for club music (here infused with a quite massive dose of hip-hop) to the next level and displays the very best of what each of their groups have to offer. All this with a couple of carefully chosen domestic and overseas guest artists and at an incredible level of quality. 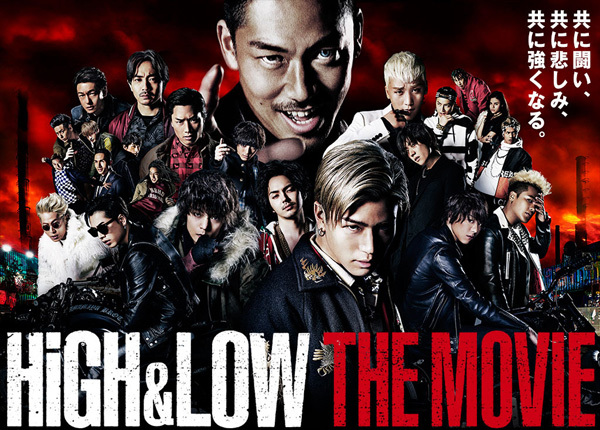 The HiGH&LOW project includes the TV series, a feature film, an additional, upcoming feature film, a stage version and a manga series (and some other stuff, like social media accounts and a theme cafe in Tokyo) and its story revolves around the rivalry between a bunch of youth gangs, plus their fight against a crime syndicate and some other enemies. It is extremely action-packed and is all about fighting and being tough… and about clubbing and partying. So it is clear that the soundtrack had to be in a similar vein, it had to be tough, cool, aggressive, taking the EDM / club sound, that LDH was already known for even further. And the soundtrack does a great job at that and while having an extremely club friendly overall vibe, it also manages to remain very diverse, displaying the individual strength of each of the participating singers and groups. Generations and The Rampage bring a somewhat more traditional JPop boy band sound to the mix, Doberman Infinity delivers hard hitting hip-hop, Strawberry Sadistic from the all girls super group E-Girls at points sound almost like a track from Scandal, the agency’s DJ unit, PKCZ is responsible for some great club tracks… and so on and on. But it is a long forgotten side project that is responsible for the album’s probably biggest surprise. 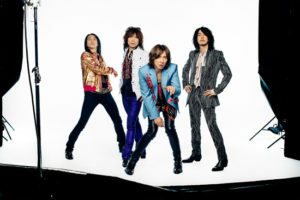 Ace Of Spades, a group that features EXILE‘s Takahiro and some local rock legends started back in 2012, releasing one single before disappearing… probably everyone thought that it was just a one-off project, however here they show up again, with not one, but two songs and while that single back in 2012 was rather forgettable, now they returned with really outstanding hard rock tracks, that are quite old fashioned, but somehow still manage to blend into the album perfectly. It would be a very strong and diverse release with just the LDH acts, but the long line of guest artists add even more variety to the mix. The Western guests are all well known EDM producers, that helped LDH to further solidify the contemporary club sound: Afrojack, Dimitri Vegas & Like Mike and the Far East Movement. And we also have Seungri from KPop group Big Bang on vocals in one track, but the most interesting choices are the domestic acts, especially Masta Simon & Sami-T from Yokohama’s legendary dancehall crew Mighty Crown and rapper Anarchy who is featured in no less than three tracks, adding his aggressive flair to the album. 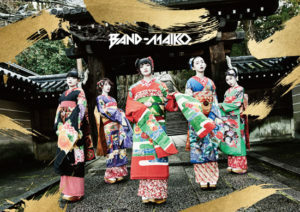 Due to its consistency in quality, it is pretty hard to choose standout tracks, as nearly each of them is special for one reason or another, but the best party tracks are probably Asobo!, by Far East Movement and EXILE subunit The Second and Mighty Warriors that feature a lot of artists, including the aforementioned Yokohama dancehall kings. However, while the album was clearly made for the dance floors, of course it wouldn’t be a real JPop album without the obligatory ballads. We (fortunetaly) only get two, closing each CD and one of them is actually quite OK and grows on the listener even more with time. The other though… now that’s a painfully bad tearjerker, further marred by very bad singing and it is the only truly skipworthy track of the album. One of the ballads is sung by an actor and the other by one of JSB’s singers, and the weird thing is that the good one is the one by the actor, Sho Aoyagi (from LDH’s stage department Gekidan EXILE), who does a really good job with Maria, while JSB’s Ryuji Imaichi is just a pain to listen on Forever Young At Heart. But besides that one track, it is a very strong album and what makes it really great is that it brings something new to the Japanese mainstream music scene (more about this in the 2nd part of the LDH double feature) and also… it is one of those albums that you can show to any Western mainstream music fan, to prove that no, not all Japanese Pop is dated and/or just too weird. And they might even get hooked on it. 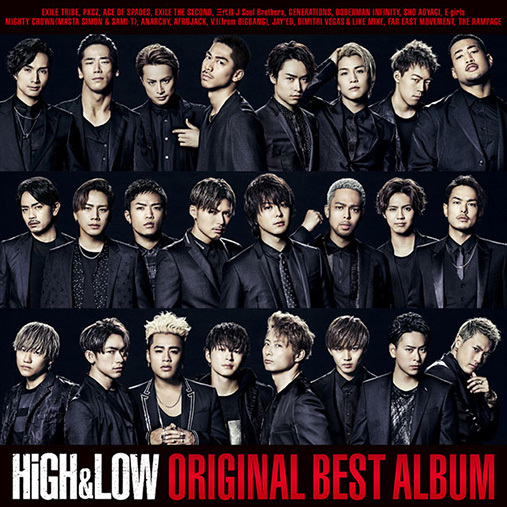 Of course, both this album and LDH in general is getting dissed for embracing the Western influences too much by people who prefer the “typical JPop sound”, but honestly… I don’t really get why. 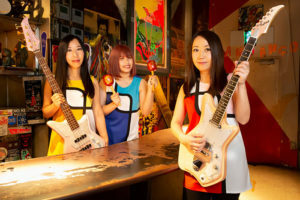 This more club- and Western-friendly sound is not something that will replace the classic JPop sound, what it does however, is adding a much needed variety to the market and it does a damn good job at that.